BUILD A LINE CHALLENGE BLOG HOP #2: Where have you been? Where are you now? Where do you want to go from here? "Ooh shiny! ", is the first thing that comes to my mind. Walking through a bead store, touching and comparing all the beautiful supplies is one of my happy places. I feel the same about browsing catalogs and websites to a lesser extent. There were many different jewelry design periods and their respective designers discussed in class. I found the work of Coppola e Toppo particularly fascinating. I look forward to doing more independent research on the different periods after class has wrapped. Describing my current style was difficult for me. Looking at my work to date I would say my style is pretty scatterbrained. That being said I was able to see some reoccurring elements across groups of pieces. Brenda of B'sue Boutiques explained the difference between being a hobbyist, maker, or a jewelry designer. I am currently a hobbyist (and a supplies collector) but I aspire to upgrade to maker. 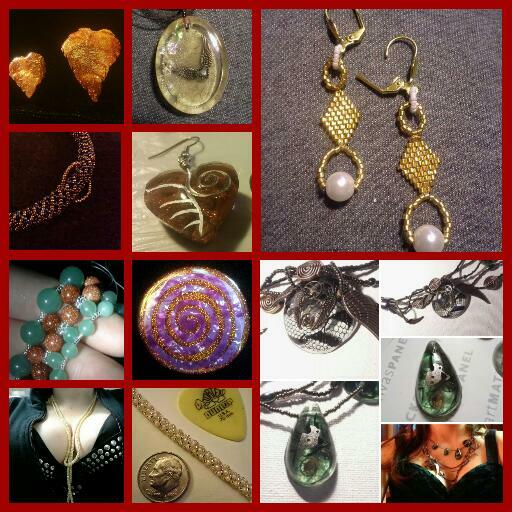 Up until this point I have made jewelry predominantly for only myself or friends. 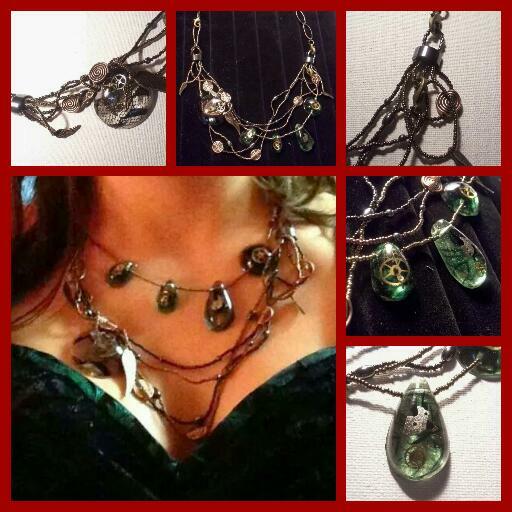 I have sold one piece via commission (shown above) but have never just designed jewelry with the idea of putting it out there for sale. To make the transition to maker I will need to put much more thought into what supplies I purchase and what I make. 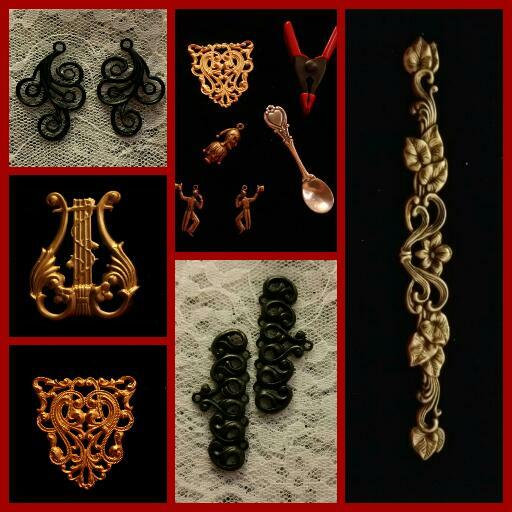 Here are some brass bits from B'sue Boutiques that I am using to construct this micro line for class. I have a feeling many goodies from B'sue Boutiques will continue to make an appearance in my jewelry after this class has ended. I hope you are enjoying this second BALC hop, please continue along below and check out what my classmates are up to. The next and final hop will be on April first. I hope you will join us then as the finished micro lines are revealed. Next postWhat the heck are those? I so totally understand your post! 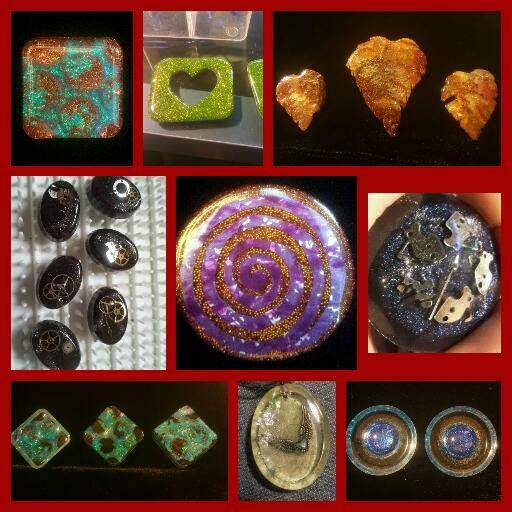 My jewelry making journey is much like yours! Your beadwork is lovely as are those resin pieces. I’m looking forward to seeing more! Great post, by the way! Thank you so much. I really enjoyed reading about your muse, and that blue necklace is awesome. Thank you Belinda, I am looking forward to your Purple jewelry line reveal. Great blog Jeannette. 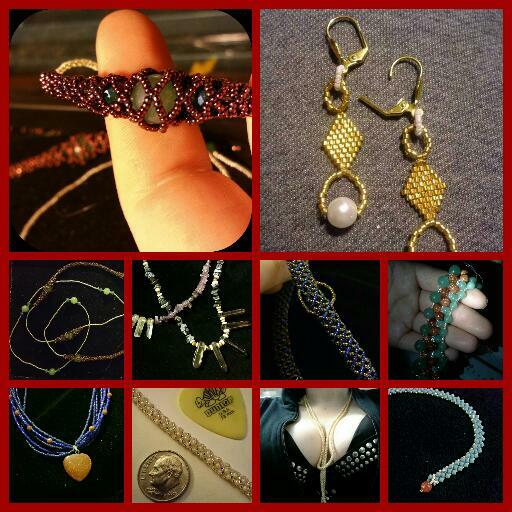 I too love beadwork and create a piece at every opportunity I can, mixing with B’sue components or chain. Look forward to seeing your line on April 1st. Thank you Irene. I’m looking forward to seeing what you do with those cute inverted hearts. Great post! Love the components and excited to see what you create! Thank you so much! I’m looking forward to your magical reveal as well. Thank you so much Brenda for sharing your invaluable information from your years of experience. The necklaces towards the end of your post are lovely. Well, all of your work is but it looks like you’re narrowing down to something exciting. Thank you for the kind words. All of the work pictured in this post is past work. Terrific post! It looks like you are forming up your thoughts nicely. I’m looking forward to seeing your new line! Thank you, looking forward to seeing your completed line too. Great blog post. There are some beautiful pieces in the pictures you showed. Thank you, I’m looking forward to your big reveal. I love the working propeller components and can’t wait to see your filigree balloons. Enjoyed reading your blog. Totally enchanted with the black glitter hands. Hope we’ll get to see them in the reveal! Excellent presentation of what you’ve done before, what you want to do next, things you have common to pieces that aren’t in a line. Love the way you skilfully walked us through your journey in a logical and orderly fashion. Me, logical and orderly? Haha, another one fooled! I really appreciate the compliment, thank you. I am looking forward to your western line. Nice job, looking forward to the reveal. Love whatr your rowing with the resin Steampunk designs and I povce all the sparkles in your beads as well looking forward to seeing more of your work. Fantastic blog post, Jeanette! Anxious to see how you combine the media to create your line. Thanks for sharing your work and thought process, looking forward to seeing where you go with it. Great blog! Love all the pictures and looking forward to seeing your new line of jewelry! 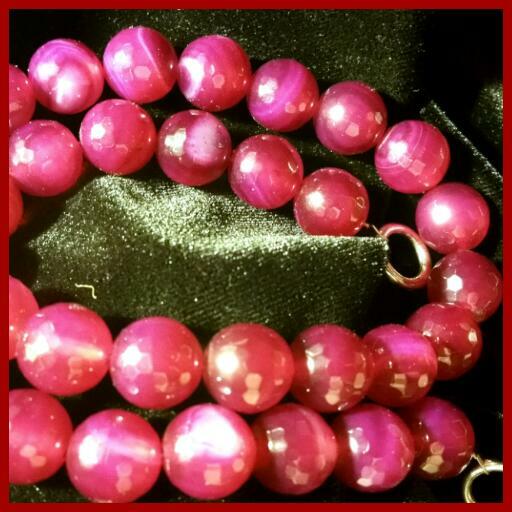 Those yummy pink beads were certainly speaking to me as well! You have some exciting selections for components and once you put your hammer down in making mode, your line should really ring the bell at the fair! Hi Jeanette, I love how your able to mix the glamourous, shiny, resin work in with your own style of steampunk, clock parts and more. I have a harder time taking what seems like two totally separate ideas and mixing them the way you do. Can’t wait to see your final pieces. Love all your pictures! I can’t wait to see what you have designed for your line. The stampings you have picked make me curious to see the end result. I took my time looking at your resin pieces. They are unique, and a way to set your work apart and be different. I saw your talent for creating wonderful focal points for your designs. Great post, Jeanette … I loved reading it and seeing all of the wonderful photos and pieces. I can’t wait to see your completed line! Great post and lot of pictures. Interesting insight to your Journey.